All is set for the KCB Kitengela rally to be held this weekend where current leader Tapio Laukannen navigated by Pasi Torma could be declared winners of the 2016 series . 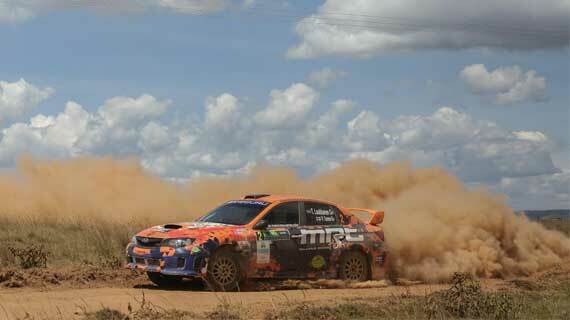 The Finnish crew only need a win in Kitengela to crown their impressive season with an overall series title . leading the board with 129 points, Tapio needs only 22 points from the remaining two outings or top five finishes in KCB Kitengela and Guru Nanak outings. second placed Jaspreet Chatthe has 100 points while Rajbir Rai is third with 79 points. Six times champion Ian Duncan will be hoping to renew his rivalry with Kenyan speedsters after struggling during the KCB Eldoret outing last month. The rally will rev-off from KCB Kitengela Branch on Sunday 6th November at 7am, with the drivers heading to 22.9 Kms CS 1 in Kajiado town.